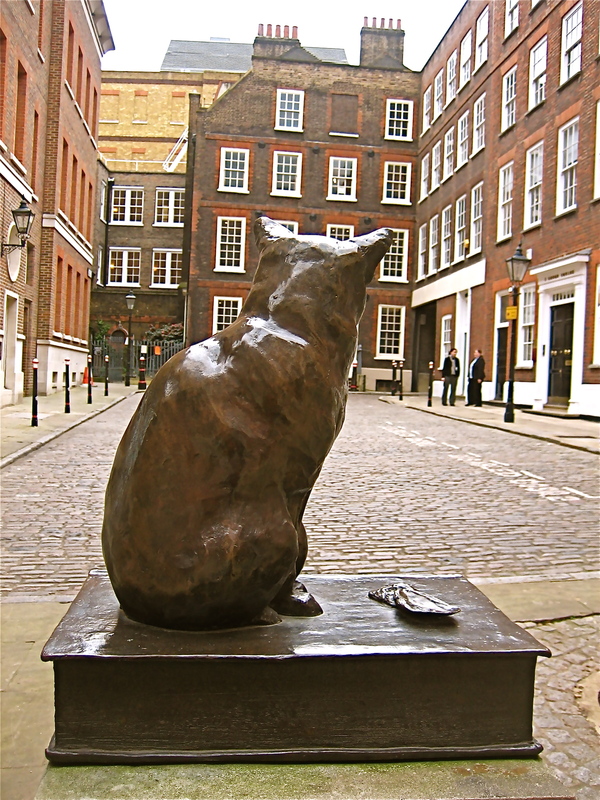 Hodge, Samuel Johnson’s beloved cat, surveys London’s Gough Square, looking toward the home of his master, who would go to the market to buy oysters for him. Johnson, greatest wit of 18th century London, wrote the first comprehensive dictionary of the English language in this now restored house, which we visited a couple years ago when researching “Samuel Johnson and His Clubbable Friends” for my essay presented to the Chicago Literary Club (www.chilit.org). Check out the new Mediabistro TVSpy website…. Yes, there is a way to extend the range of your Wi-Fi system, with a Wi-Fire antenna, that easily attaches to your laptop. Using my computer in the downstairs library and connecting to my wi-fi system based upstairs at the other ned of the house has been iffy, but with the $50 Wi-Fire antenna connected to the laptop I now get better. stronger reception. I recommend this little device, which sets up with some quick software and clips to the top of the computer screen or sets on a table, connected by USB. For info, go to http://www.htech.com. 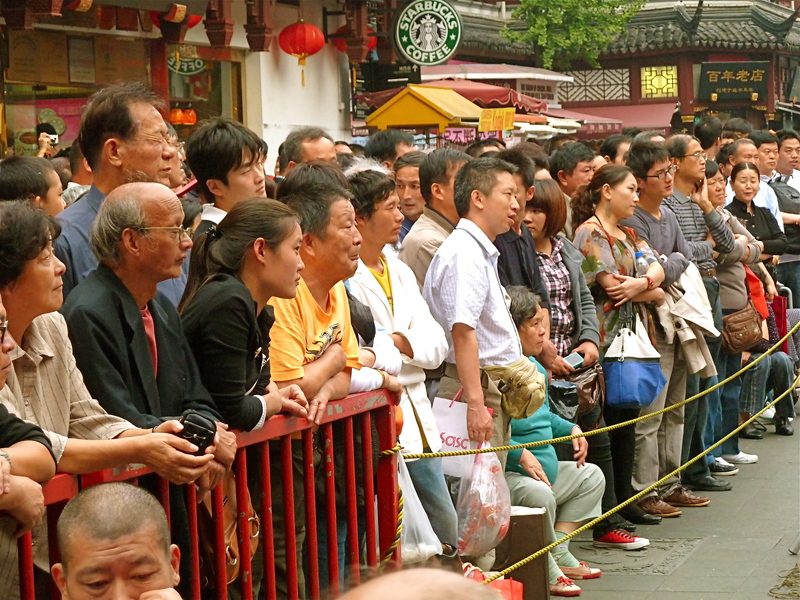 Is representative democracy coming to China? “Perhaps if their belief in democracy is strong and ecumenical enough, the youths of China will find a way to take their country down a path toward greater popular sovereignty. “It remains to be seen how much of the “new China” will continue to emerge as this drama plays out, but it’s very likely that any Chinese democracy will have its own unique characteristics; it is unlikely to be an exact copy of the Western model, and it will take its time arriving. China is both a modern state and an ancient civilization that, after all, has shown an almost pathological degree of patience and forbearance. It’s been exactly a decade since the outmoded Electoral College system of electing our Presidents, with the aid of the Supreme Court, handed the Presidency of the U.S. to a man who lost the popular vote in the nation by the population of Milwaukee. It was a close election all right, and the finger on the scale of history tipped the balance away from the people’s choice. It’s happened three times before in our history, and it will happen again, and again, until the Electoral College is eliminated or marginalized. The electoral college was a political compromise made in the founding days of the republic, when it was feared that the common man, in the days before mass media, could not know enough about the candidates to make an informed choice. So now, in all but two states, electors unknown to the people cast all of each state’s electoral votes for the winner of the popular votes in that state, throwing out all votes cast for the opposition, and in effect dumbing down the national electoral votes, so they do not necessarily reflect the overall popular will. How dumb is that? Best Video Magazine on TV? It’s CBS Sunday Morning, with no close second in my book. Great relevant variety, high production values, laughs, tears and learning something — what more could one want over lazy Sunday coffee, with the snow blowing outside and the cats hovering around the couch?